Comedian Kapil Sharma turns 37 today and his former co-star Sunil Grover wished him on Twitter. "Happy birthday, Kapil Sharma. May God keeps you healthy and happy brother. Love and wishes," wrote Sunil Grover an hour ago. Kapil Sharma's reply is awaited. Kapil Sharma and Sunil Grover were in news last year for the mid-air fight and since last month, they have been trending on and off for their Twitter fight. The duo worked together on The Kapil Sharma Show and Comedy Nights With Kapil. 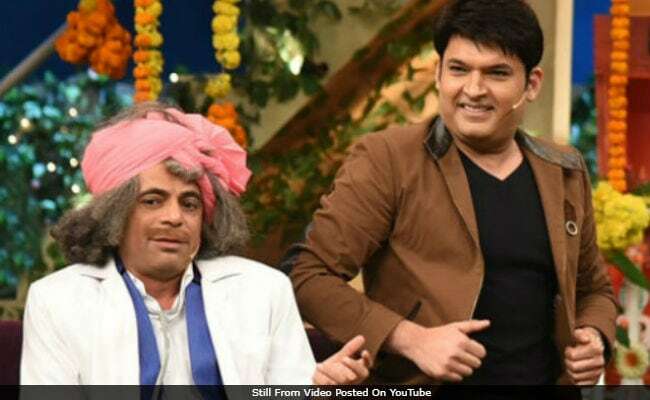 However, Sunil Grover quit The Kapil Sharma Show after the host reportedly abused him while flying home from Melbourne last year. Read what Sunil Grover posted. Happy Birthday @KapilSharmaK9 May God keeps you healthy and happy brother. Love and wishes. Meanwhile, Kapil Sharma's other co-stars like Bharti Singh and Kiku Sharda also posted their birthday wishes. In an interview to news agency IANS, Kapil Sharma said that he hopes to keep on entertaining people. "After five years, I will be sitting here and talking to you about my next venture. I just wish I get new ideas and ways to entertain people. One tends to get bored if one keeps on doing the same thing. I will keep on coming out with some different show or different film," he said. Paji I called u more then 100 times n came to ur house to meet u twice .. every time u were out for some show n all .. pls don't spread rumors that I didn't call u. The Kapil Sharma Show went off air some months ago over low TRPs. Kapil Sharma had also reportedly resorted to alcoholism and was admitted to a rehab.